Make a Samsung Galaxy J5 2016 wallet case With your own photo on the front to make it personal Convenient case with slots for 3 cards. Have you ever forgotten your wallet but never your phone? 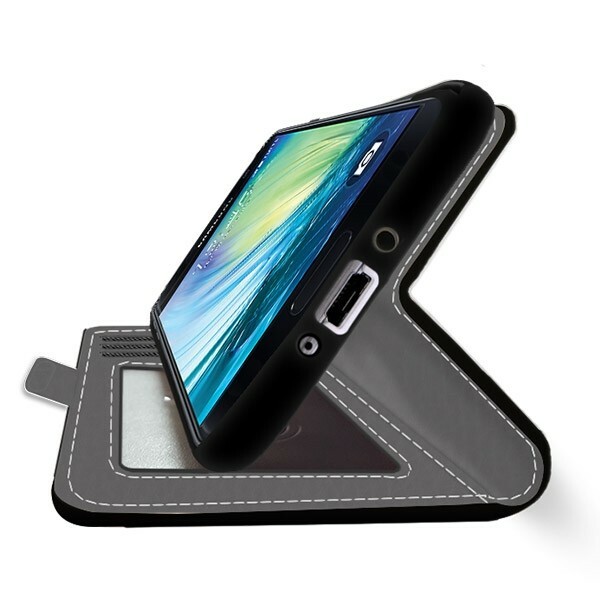 The ideal solution is a wallet case from GoCustomized! 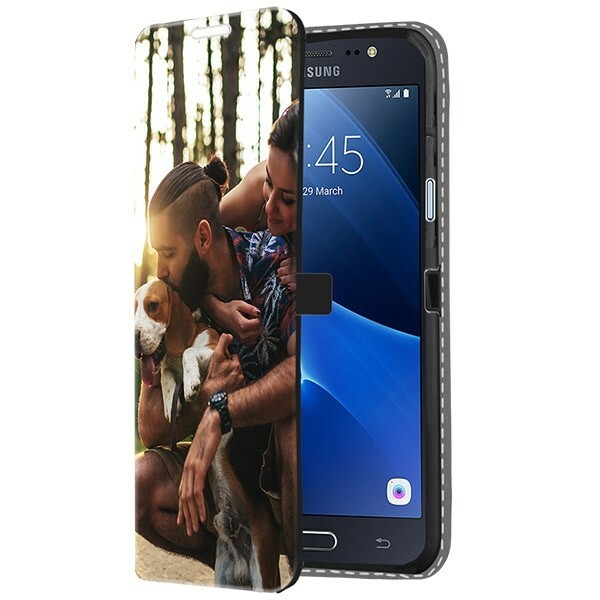 With our Galaxy J5 2016 wallet case you will have everything at your fingertips: your phone, your wallet, and it will be customized with your favorite photo! THe process is fun and easy, what you design we print! The Galaxy J5 2016 case is made of black faux leather and has a beautiful finish. 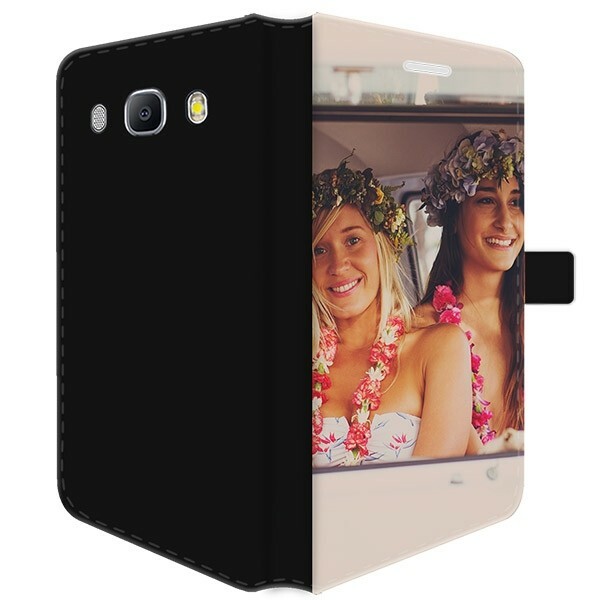 The case itself is black, but it will not show through your photo or design (unless it is intended). With three handy storage compartments you can have your J5 2016 and important cards all in one hand. Design, create, and make all yourself! Create a case yourself via our deisgn module. This is very user-friendly regardless if your are tech saavy or not. You can quickly upload a photo from your computer's hard drive, Facebook, or Instagram. 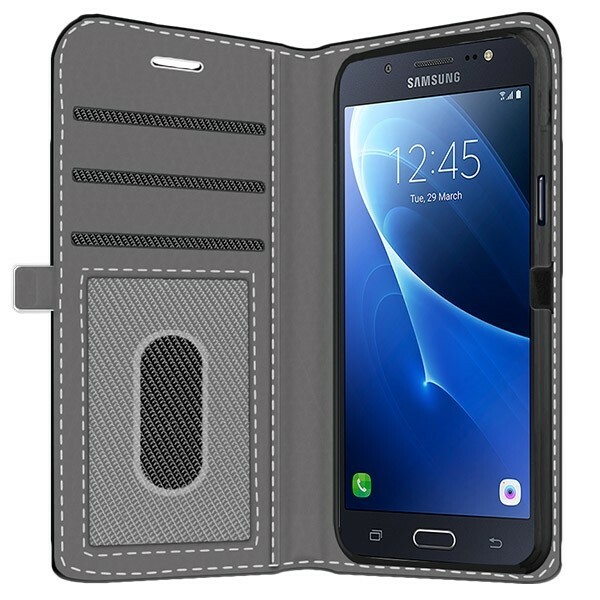 This way you can quickly get started to make your own custom Galaxy J5 2016 wallet case. You can also eaily enlarge, reduce, and rotate the photo you chose to make it look exactly as you envisioned. Are you also excited and impatient when it comes to waiting for an order? Us too! This is why GoCustomized provides various methods of shipping, all of which are quick. You do not have to be home for delivery, because the package fits right through the mailbox. Of course if you have any questions our customer service will be happy to assit you every business day.